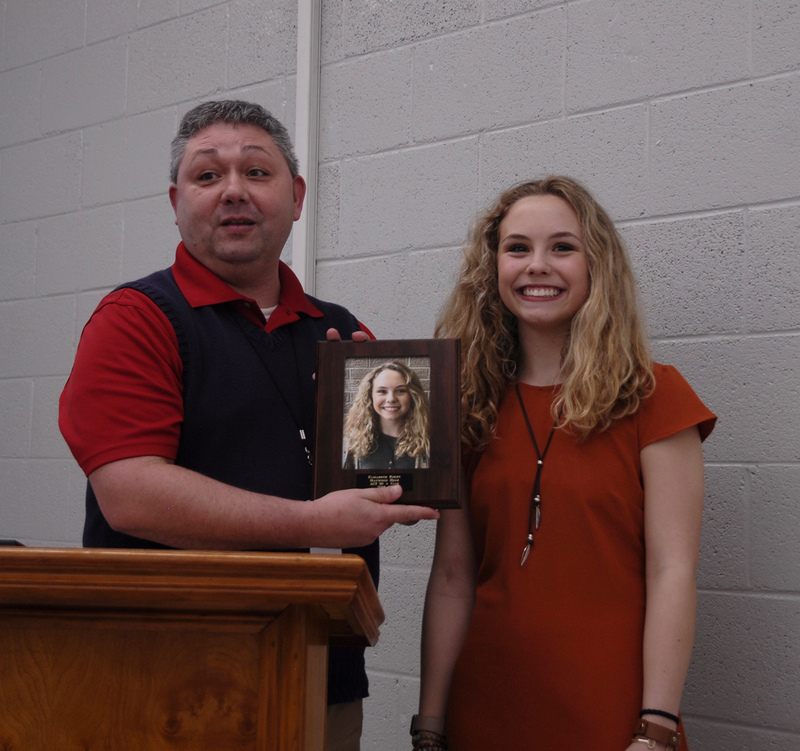 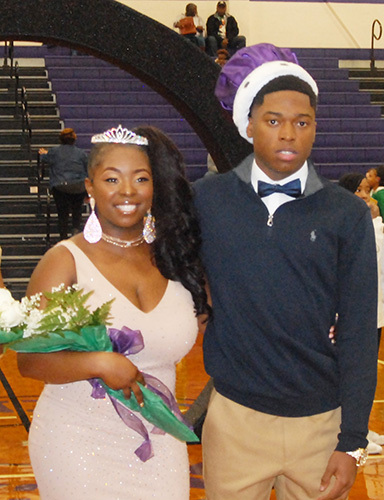 Haywood High School held its basketball homecoming in the school gymnasium on Friday, January 18. 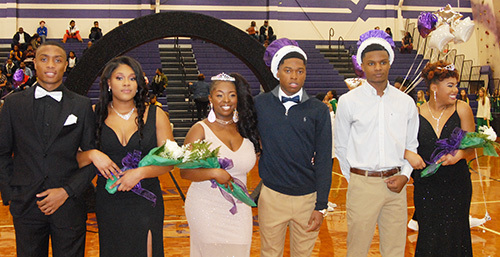 Selected as Royalty were (from left) Jataz Gray – 2nd Prince, Anteyiah Washington – 2nd Princess, Kemyia Evans – Queen, Kyron Stockings – King, Demarius Boyd – 1st Prince and Alexiis Bean – 1st Princess. 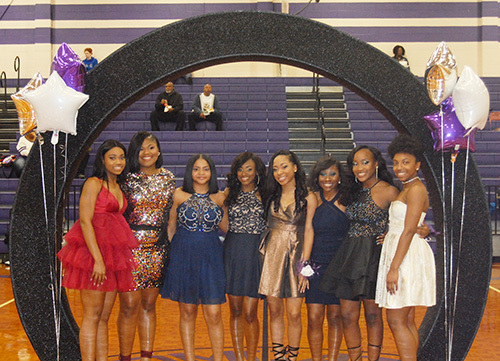 The court was selected from the girls and guys chosen as Royalty candidates: (from left) Jocelyn Brooks, Jada Monie, Iyana Taylor, Alexiis Bean, Kemyia Evans, and Antenyiah Washington. 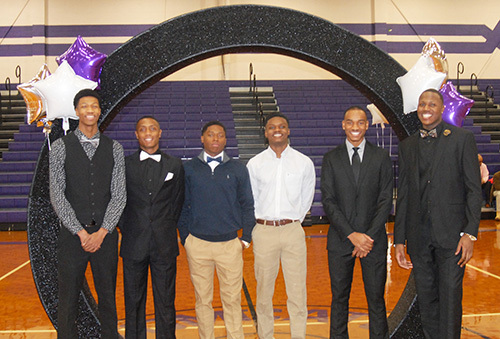 Royalty guys were (from left) Michael Turner, Jataz Gray, Kyron Stockings, Demarius Boyd, Malik Comage, and Markeston Douglas. 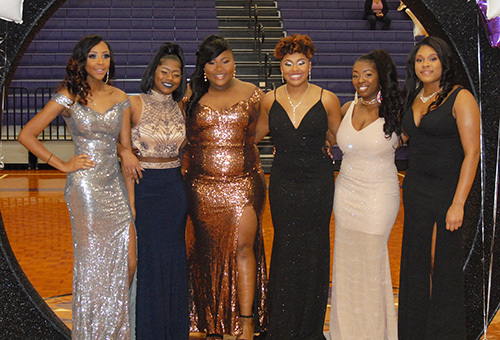 Also introduced during the homecoming ceremony were each class’s representatives: (from left) Valentcia Dancy, Terra Walker, Kabria Oldham, Brianna Walker, Montasia Walker, Makayla Ward, Antyonia Simon, and Ahmadia Hines.